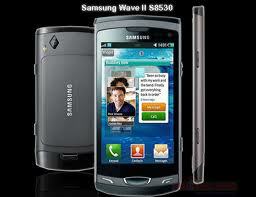 Samsung Wave II is the latest version of the Samsung Wave mobile phone. This phone has 1GHz processor and has a super clear LCD display screen with less light reflection than other LCDs. In this used DNIE (digital natural image engine) is usually embedded in high-end television products output. Both the new version and the predecessor look the same. It is equipped with three buttons, Button Call, End and Menu. On the left side of the phone there is gate micro USB and volume control buttons. On the right side there is camera shutter and screen lock button. On the top of the phone external speakers and audio 3.5 mm can be found. The Bada OS version used in the phone is the latest Bada OS version, Bada OS version 1.2. This OS offers application management and various multimedia features. With this OS one can open simultaneous applications in the phone. However, it is not as good as Google Android OS or Apple iOS. It has got all the social networking applications like Twitter, Facebook, instant messenger services and YouTube. Twitter and Facebook is directly connected with phone contacts. The web browser used in Samsung Wave 2 S8530 is Dolfin v2.2 web browser that supports RSS reader, HTML, WAP, flash content and multi-window. It supports push email function. Email synchronization is also available to save the battery. It is a great smartphone with premium OS, thinner design and clearer display. 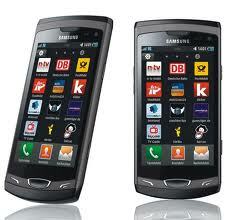 This Samsung BADA version1.2 is reliable and complete package with al the embedded features. However, it might not be a big deal for people who have already tasted Android phone and the market could also be the reason. But apparently it is a good one and there is no harm in checking out the new OS. 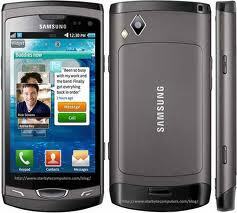 – The price of Samsung Wave II S8530 phone is Rs 16,399 in India.